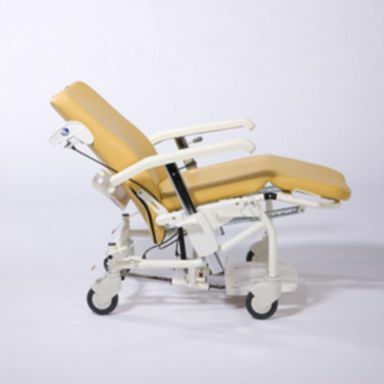 Anatomically shaped with adjustable armrests. 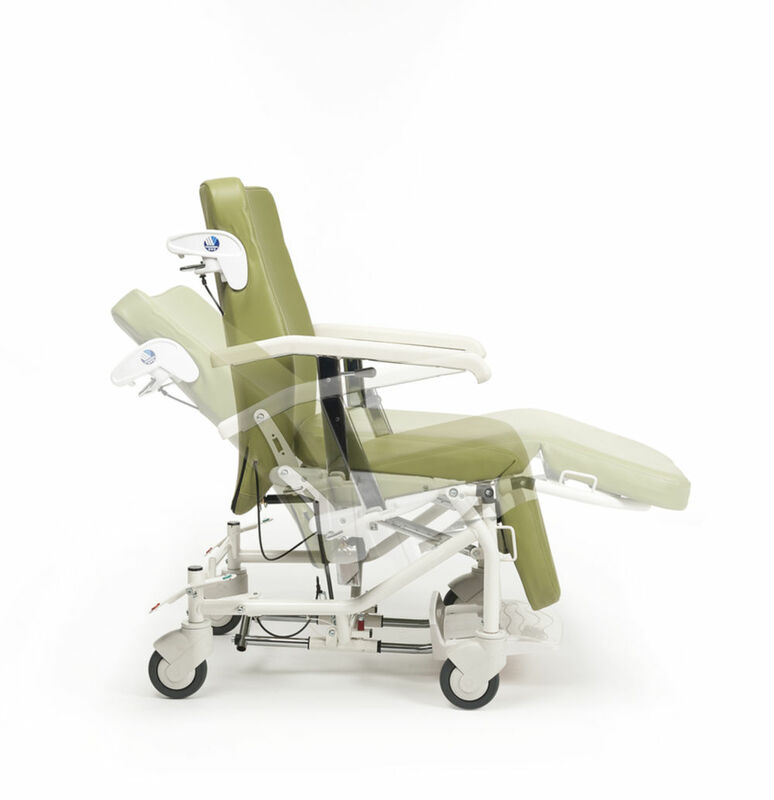 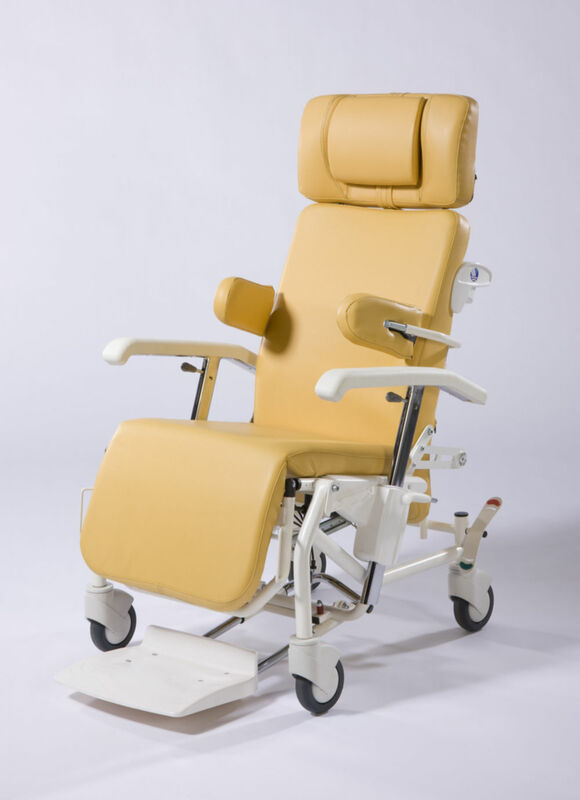 The Alesia Geriatric chair is anatomically shaped with armrests adjustable in height, wheels and central brake. 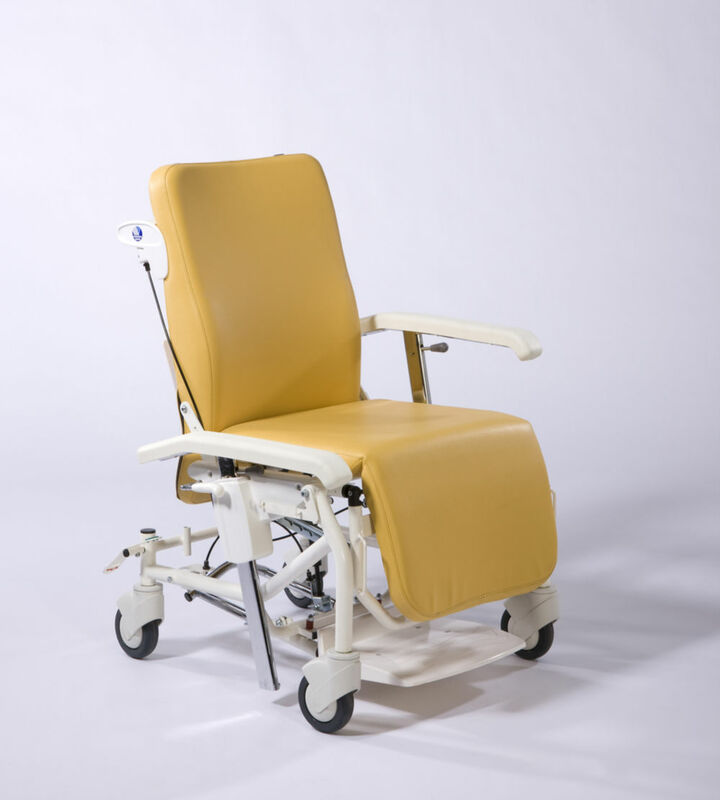 Colours: yellow, light purple, orange, light green, dark red, night blue, brown, deep green.